He is the reigning King of New York, so it's only fitting that this classic Jay Z photo grace one of the covers of this special edition of NY Mag. The photo is not new, it's actually very old. It was taken back in 87' probably when the now infamous Hip Hop mogul went by the name Jazzy before the big change to Jay Z. 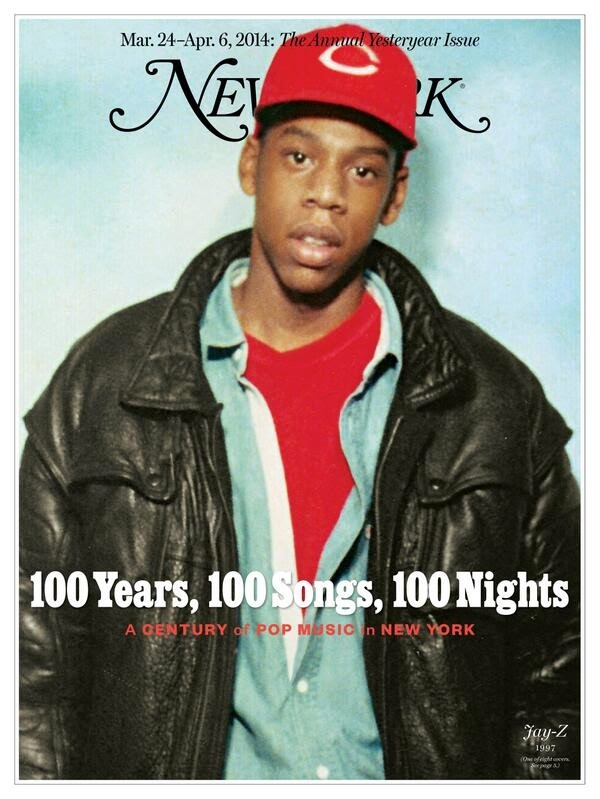 The magazine's "The Annual Yesteryear Issue" features The Encyclopedia of New York Pop Music cover story and naturally Jay Z is among those examined in it. And of course there’s Jay Z, whose great theme remains his own stratospheric rise from street-corner dope peddler to ‘a business, man.’ These biographies put a musical spin on New York’s rags-to-riches mythology: In this town, a song about the gutter can put you in a penthouse. I couldn't agree more. Love this cover. Be sure to check out NY Magazine's March issue on stands now.